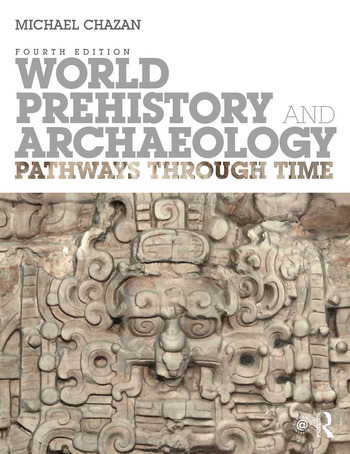 World Prehistory and Archaeology: Pathways through Time, fourth edition, provides an integrated discussion of world prehistory and archaeological methods. This text emphasizes the relevance of how we know and what we know about our human prehistory. A cornerstone of World Prehistory and Archaeology is the discussion of prehistory as an active process of discovery. Methodological issues are addressed throughout the text to engage readers. Archaeological methods are introduced in the first two chapters. Succeeding chapters then address the question of how we know the past to provide an integrated presentation of prehistory. The fourth edition involves readers in the current state of archaeological research, revealing how archaeologists work and interpret what they find. Through the coverage of various new research, author Michael Chazan shows how archaeology is truly a global discipline. * Appreciate the importance of the archaeological record for contemporary society. Michael Chazan is a professor in the Department of Anthropology and the director of the Archaeology Centre at the University of Toronto, Canada. He earned his PhD in anthropology at Yale University, USA. Before coming to Toronto, Professor Chazan was a postdoctoral fellow with the Centre National de la Recherche Scientifique in Paris, France, and at the Hebrew University in Jerusalem, Israel. His field experience includes excavations in New Jersey, France, Israel, Jordan, Egypt, and South Africa. Professor Chazan’s previous publications include a monograph on the Lower Paleolithic site of Holon, Israel, co-authored with Liora Kolska-Horwitz.